Multicolored Post-It notes strewn across the table, mind maps and doodles on the white board wall, materials for inspiration pulled up on the laptop, and Zoom messages back and forth with colleagues on the planning team. 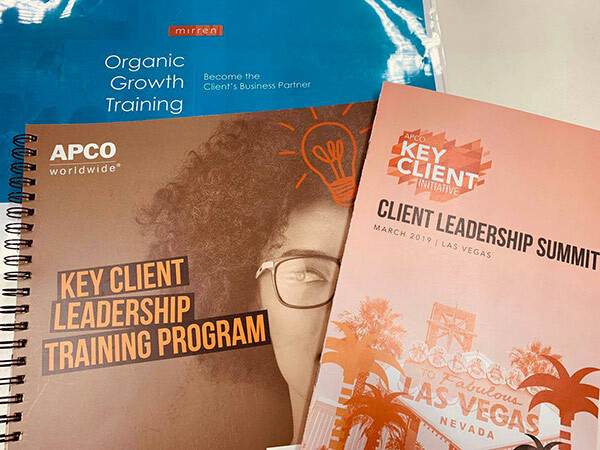 This was the scene in APCO’s Learning & Development office as we worked to design the 2019 Key Client Leadership Summit experience. There is a lot of pressure in delivering high quality content when you bring together 50 of the firms best client leaders for two and a half days. Designing learning experiences for leadership is an art and a science. The science is the selection of speakers and varying delivery methods to match learning styles. The art is how you tie all of that together along with the venues and entertaining components to create a dynamic high-quality experience. For our summit, we prioritized the content delivery to ensure the learning objectives were met, but we did not stop at simply placing speakers into time slots. 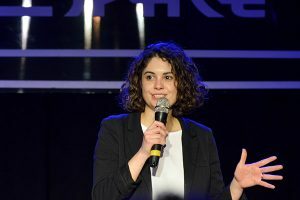 With the event now behind us, I wanted to share some insights into the why we felt it was important to convene in person, why any other organization should consider doing the same and a few tips and things we did to make it a success. The thing about hotel ballrooms is that no matter if you are at a Marriott in Boston or the Waldorf Astoria in Maui, a hotel ballroom is a hotel ballroom. Many of them don’t have windows, and they all look relatively the same. Bringing participants to unique venues helps to engage and inspire, as well as provide an opportunity to align content thematically with a location. On the day we had sessions all day, we met at a beautiful preserve far enough away from the Las Vegas strip that you could see the mountain ranges and desert in place of bright lights and hotels. The room where participants spent most of their time that day had large windows with gorgeous views. 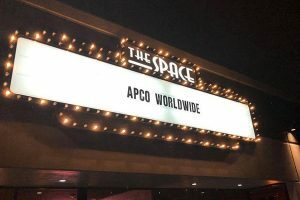 Many of our creativity sessions like improv for public speaking, storytelling and a session with APCO’s global creative director took place on this day – matching the venue to the content. 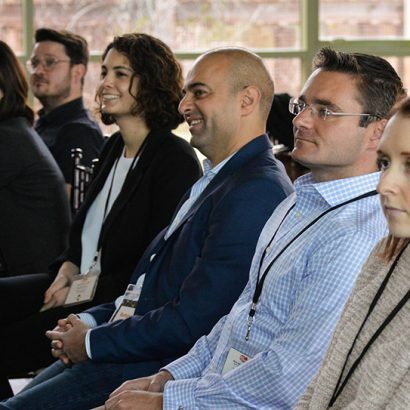 It’s easy to simply place speakers into time slots to build an agenda, but that does not account for a key component of the experience – the energy levels of our participants. Sitting with the same large group session after session can often lead to dwindling attentions spans and only a small subset of the group (typically sitting up front) staying engaged. 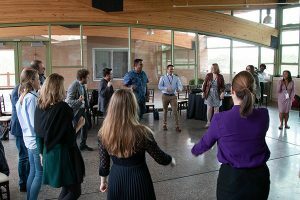 At our event, we broke our group up multiple times to ensure participants could better connect with each other and the content in sessions like storytelling and improv. We kept them awake and energized by moving them from one location to another throughout the day. We also played with energy by setting guidelines for session length and delivery methods. Sessions longer than 45 minutes must include some sort of interaction, exercise, or movement. This all creates a high-energy experience, and fast moving agenda. With senior leaders, a fast pace is important. If things slow down too much, they will be tempted to check email or get distracted. Investing in a leadership speaker or business development expert to lead the group through an organic growth planning session can have a large ROI for senior leaders. Therefore, about 60 percent of our program was delivered by outside experts. 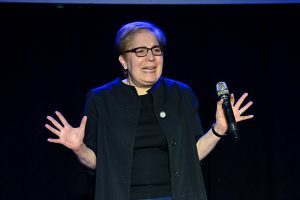 However, the session that got the best reviews and most buzz wasn’t the keynote speaker, it was our Storytellers Cabaret. The cabaret program put ten of our participants into a starring role, two emcees and eight storytellers. Eight of our bravest colleagues took to the stage to tell their stories stemming from chaos, tradition and curiosity, giving us insights in to the people behind those stories – their motivations, fears and lessons. When in Las Vegas, dinner and a show make the most sense for evening entertainment. One of our learning objectives for the summit was to build storytelling capabilities and improve public speaking. While we had sessions that addressed both of those objectives, there was also an opportunity to ‘up the ante’ for some of our colleagues. The ten participants went through additional training and coaching leading up to the summit. They were tasked with telling a 6-8-minute story on stage as part of the Storytellers Cabaret evening. It was an incredible learning opportunity for our storytellers and proved to not only be entertainment for our group but the undeniable highlight of the program. The planning team took this idea to the next level by finding the perfect venue. And nothing beats your company’s name in lights on the Vegas strip! The ambience added so much to the overall experience and took the idea from good to great. In sum, there are two overarching drivers that contributed to our creative approach. First, we placed great emphasis on the experience of our participants, and that value was realized across the organizational chart. Second, our diverse planning team members brought exceptional strength in their areas of expertise. In addition to our core curriculum design experts, we had a colleague with exceptional event planning and hospitality talent, as well as a variety of key client leaders providing varying levels of support and counsel from the attendee perspective. Bringing the right people together, combined with a design thinking approach to the experience, resulted in an imaginative agenda that proved to be both captivating, relevant and successful for all. 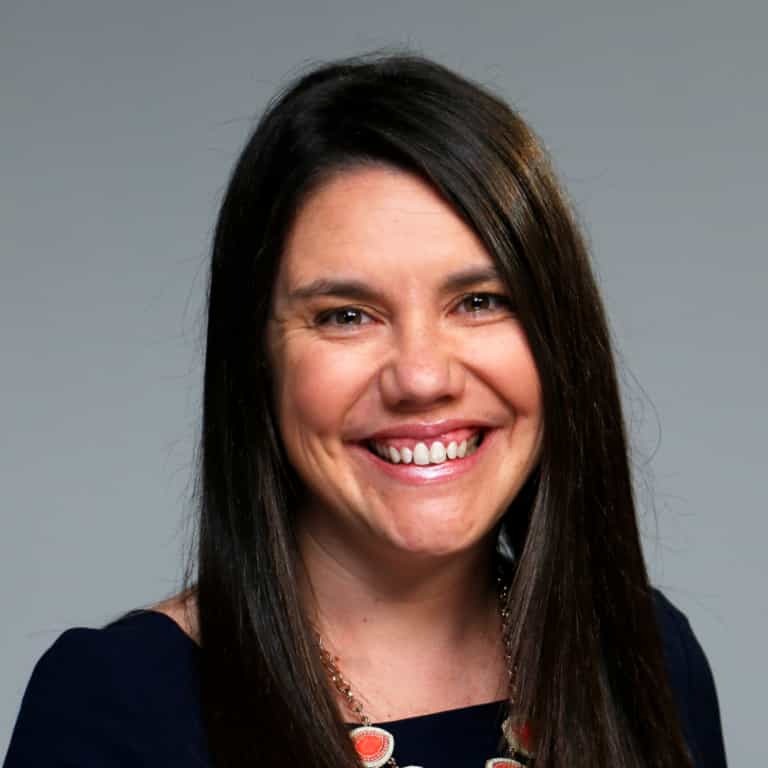 Courtney O’Connell is director of learning and development based in APCO Worldwide’s Washington, D.C., office.